At Kip McGrath Forest Lake we are passionate, supportive, qualified, experienced teachers. 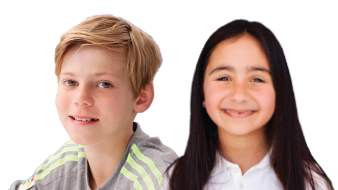 We offer a free assessment to determine your child’s strengths and weaknesses and then design a personalized programme to help your child catch up, keep up or get ahead. Your child can be tutored at the centre or now from home with on screen tutoring. Each 80 minute session is conducted by a qualified teacher in a small group setting. The sessions are broken up into sections consisting of computer activities and written materials that complement the national curriculum standards. Parents receive regular, ongoing communication from their tutor and Center Director, Terry Mazzer. At Kip McGrath Forest Lake we know that every child learns differently. We create achievers by motivating and encouraging your child. We will make a difference to your child’s results and confidence.